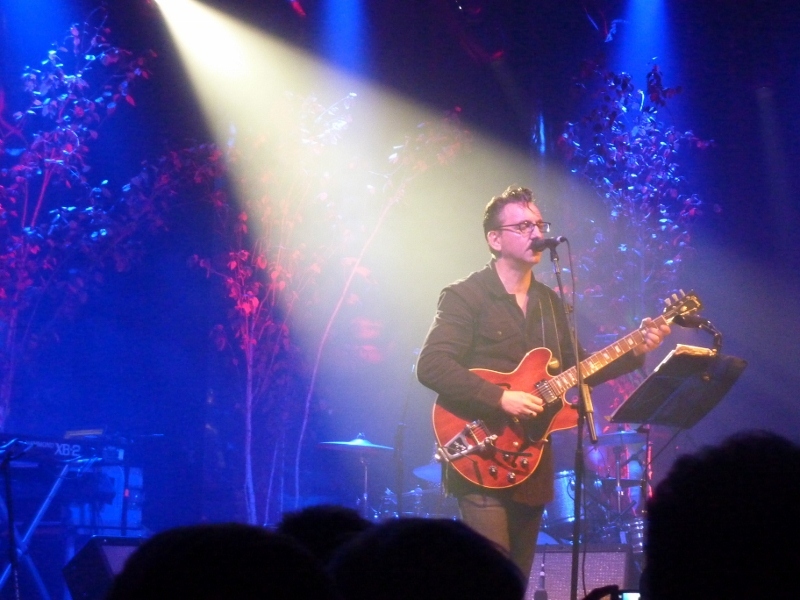 Richard Hawley needs no introduction here. The Longpigs, Pulp, high profile session duties and career-reinvigorating production work are mere asides to his majestic solo work. Seventh album “Standing at the Sky’s Edge” sees Hawley immerse himself in intoxicating, swirling psychedelia, something of a detour from the classicism of his first releases and the glacial poise of 2009’s astonishing Truelove’s Gutter. We knew his Academy set would lean heavily on the latest LP and Richard and his dependably fantastic band did not disappoint. We were treated to expansive performances of most of the new material plus a smattering of older songs, although nothing pre-dating 2005’s breakthrough Coles Corner. Not much more to say really. It’s Richard Hawley and the best live band in the UK: if you can’t find something to love here, you probably just don’t like music. If you download and enjoy this music we would fully expect you to support the band by buying their records and attending their gigs. Richard Hawley’s official website is here and his current album can be purchased here.